Dazzling morganite and warm rose gold form this unique ring. 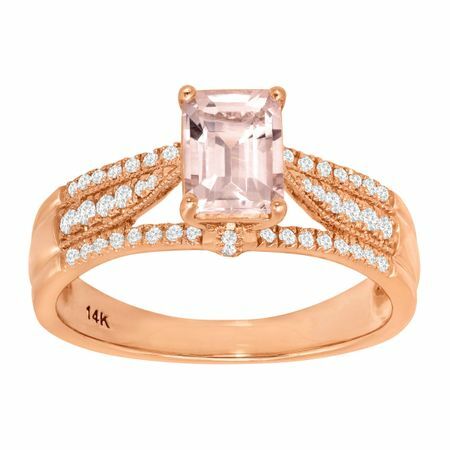 A 1 1/10 ct emerald-cut natural morganite is surrounded by round-cut diamonds totaling 1/5 ct, all crafted in glowing 14K rose gold. Ring face measures 3/16 by 1/4 inches.